Discuss on the Tokunation Forums› Views: 2774 › Credit: Shin Henshin of the TokuNation Forums! 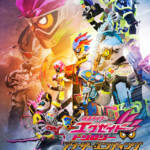 Kamen Rider Ex-Aid Another Ending Part 2 Trailer Online! Toei has uploaded a brief teaser for the second entry in the Kamen Rider Ex-Aid: ANOTHER ENDING film series! Kamen Rider Ex-Aid Another Ending Part II (Kamen Rider Para-DX With Kamen Rider Poppy) is currently scheduled for release on April 11, 2018! This week’s update on Bandai’s candy toy blog has revealed that Kamen Rider Poppy will be joining the popular SODO Kamen Rider Ex-Aid line! 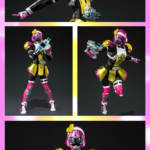 The blog post features multiple images of the figure, comparing it with SODO Ex-Aid showing off its articulation and flexible skirt as well as optional red eye stickers to recreate when Poppy was under Bugster control. A unique stand will also be included to accommodate the figure’s different height/build. Though originally planned for Stage 8, Kamen Rider Poppy will be released as part of the Stage 9 wave in mid-July! New Kamen Rider Ex-Aid Scans Online- Kamen Rider Poppy, Para-DX LVL 99 & Ride Players Revealed! Not to be outdone, a handful of new magazine scans for Kamen Rider Ex-Aid have also been posted online, showing us the future adventures of the Game Riders! *By obtaining a GamerDriver of his own, Kamen Rider Para-DX will reach LVL 99 and become Kamen Rider Para-DX Perfect Gamer! Armed with the new ParabraGun weapon, Para-DX is now stronger than any could’ve imagined- but is he friend or foe?! *With the power of Kamen Rider Chronicle seeping into the real world, numerous humans will take on Rider characteristics to survive. These new warriors are known as Ride Players, closely resembling Ex-Aid’s design but with muted features & colors. 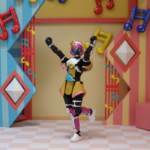 *Last but certainly not least is Kamen Rider Poppy! Everyone’s favorite singing Bugstar joins the fight- but just whose side is she really on?! Certainly seems to be some exiting times ahead for the Game Riders! Stay tuned to TokuNation as we keep you up to date on all Kamen Rider Ex-Aid reveals! 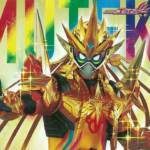 First Image Of Kamen Rider Poppy Surfaces Online! 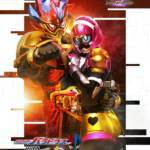 This is our first look at Kamen Rider Poppy! She is the first FEMALE Rider in the Ex-Aid world, transforming thanks to a new device known as the Buggle Driver Mark 2 and the Crisis Gashat! 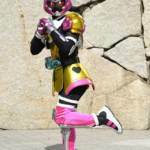 The exact details of Kamen Rider Poppy’s abilities are sadly unknown at time of writing. Stay tuned to TokuNation as we keep you up to date on this exciting new Rider!